While no small feat, we are inching closer to the opening of Whole Foods in a portion of the former Albertson’s grocery at Premier Centre! The anticipated opening date is late April 2016. We are equally as excited at the newest addition to Premier Centre with Forever 21 Red occupying the balance of the space with an amazing pre-Thanksgiving Holiday opening to the public. This will be the first Whole Foods and second Forever 21 Red on the Northshore occupying a total of 60,000 square feet. 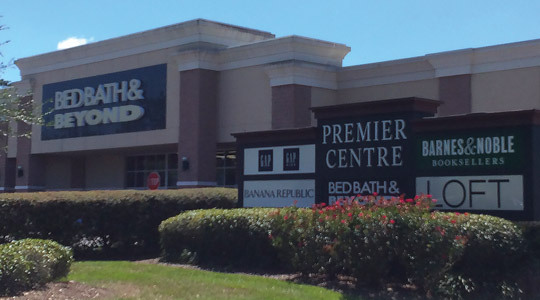 Premier Centre, a 273,000-square-foot shopping center near the intersection of U.S. 190 and North Causeway Boulevard in Mandeville, Louisiana, opened in 1998. Whole Foods and Forever 21 Red will join Stein Mart, Bed Bath & Beyond, T.J. Maxx, Barnes & Noble, Old Navy and other national and local retailers in the shopping center.